You all know there's not much I love more than cute clothes and accessories. Jessie Street Designs, my newest sponsor, offers beautiful, handcrafted items for ladies and girls. And there is a GIVEAWAY today...win a free item of your choice from the shop! Keep reading to find out more about this Etsy boutique and for details on the Giveaway. Jenny, a mom of three, opened Jessie Street Designs in January of this year. You can see she's already had a successful start...100% positive feedback! I love the story behind the shop name...Jenny's paternal grandmother's name was Jessie, and her maternal grandmother lived on Jessie Street. Both women taught Jenny the value of a handmade item that can be treasured and cherished through family generations! Jenny enjoys hunting for fun new fabrics to play with, and her pieces are all made in a smoke free studio. I love the Hostess Half Aprons. At only $12 apiece these would make the perfect hostess or housewarming gift, along with some fun kitchen or outdoor dining items. Jenny has some really cute fabrics! I don't know any little girls who don't like to twirl...and the Twirl Skirts just make twirling more fun. And, have mercy, Jenny's Necklaces are so sweet and stylish. I love rosettes, don't you? There's also a Jessie Street Designs blog, where you can catch up with Jenny and find some creative inspiration. 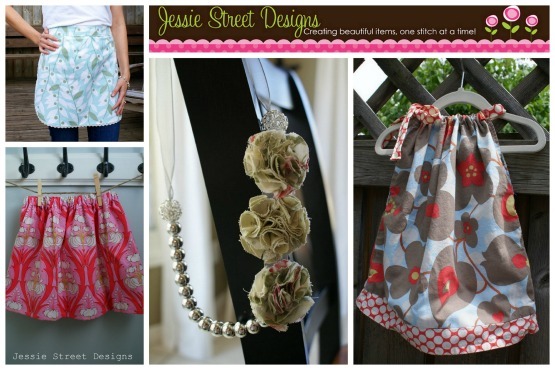 Would you like to win an item of your choice from Jessie Street Designs? 1. (mandatory entry) Visit Jessie Street Designs and leave me a comment here with the name of your favorite item. 4. "Heart" Jessie Street Designs on Etsy. 5. Link up to my Weekend Bloggy Reading link party this weekend (have a link back within your post!) for an extra automatic entry. My Weekend Bloggy Reading link party is on for tomorrow! Bring your best post of the week to link up. If you prefer a button to a text link back, here's the button code for the party! Recipes, crafts, home decor, book reviews, funny stories, you name it. Come prepared to showcase your blog and find some great weekend reads. *Giveaway open until 10 pm ET on Sunday, May 20, 2012. Odds of winning depend on the number of entries received. Giveaway open to US and Canadian residents only. I love the Chloe Necklace! Such a cute shop. Those pillow case dresses are just too cute! My little pumpkin would look so adorable! I like the toddler swirl skirt, so cute! I love the Kaitlyn Necklace . 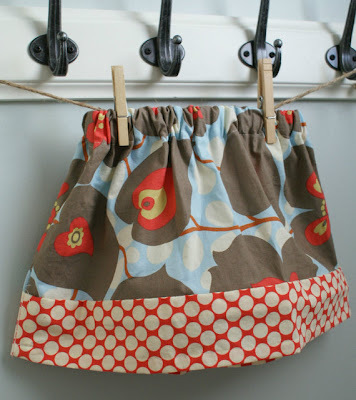 . . and the Toddler Twirl Skirt. So much cuteness to choose from! I hearted her store. Michelle P. on Etsy. What a sweet giveaway! Looks like she has some colorful things. 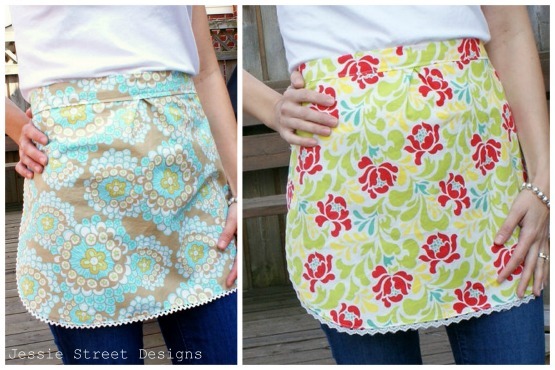 My favorite is that half apron with red flowers. It would go perfectly in my kitchen! I love the pillowcase dresses. My neice's birthday is in July and this would be a cute gift. I really like the Ladies Half Hostess Apron. I love the brown and red (Amy Butler) pillowcase dress. So cute! Of course I heart her Esty Shop!! 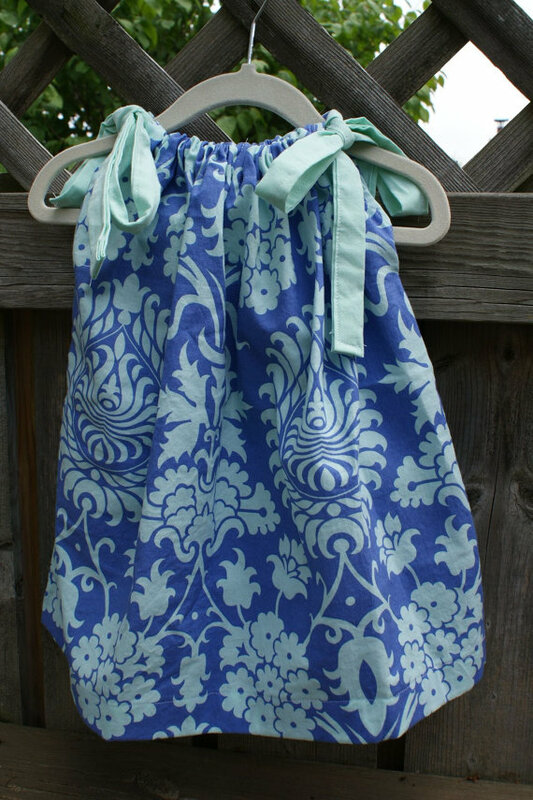 I would just love to win a ladies half hostess apron!! I love the pillow case dresses. My favorite is the rosette necklace. Love it! Her things are really cute! I would either choose one of those cute aprons or else a pillowcase dress for one of my friends who has a little girl. I can just see Lily wearing one of those adorable little dresses! Thanks to her for the giveaway--and to you for hosting it. Hope you've had a great week! I Facebooked this giveaway with a link on my personal FB page. Thanks for the awesome giveaway! 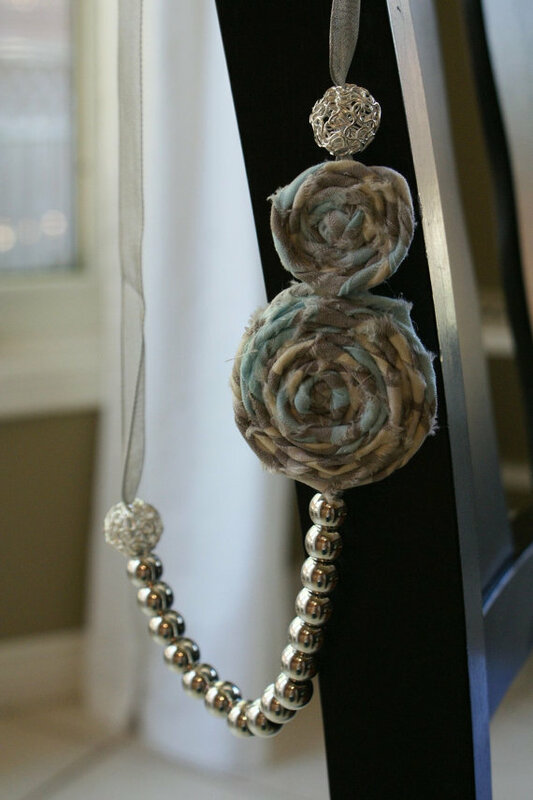 I love The "Kaitlyn" Rosette Necklace. It's so pretty, and I would love to own it! I added Jessie Street Designs as a favorite on Etsy.